Aaron E. Henry Community Health Services Center, Inc. (Clarksdale, Mississippi). Project Overview Implementing initiatives to drive positive change in recruitment and retention of the workforce for the Mississippi Delta community health center market. 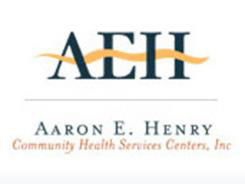 Aaron E. Henry Community Health Services Center aims to increase recruitment and improve retention of entry-level workers by implementing an educational and mentoring program for students interested in the health professions. The Center joined with Tri County Workforce Alliance to educate middle school and high school students about career opportunities in health care and to provide students in community and four-year colleges with internships and training. Specific learning products include specialized computer- and video-training modules for existing staff and training during work hours to enhance skills and job satisfaction. To build internal health center capacity in human resources to help “train our own”. To partner with local educational institutions to teach on-site at health centers on work time to entry-level workers. Enrolled 49 students in grades 9-12. All student mentored by a nurse or other health professional. Students were dual enrolled (12 fall semester 2012, 16 students spring semester 2013) at Coahoma Community College for prerequisites for the RN program. 17 seniors offered chance for Fast Track CNA program during the summer of 2013 after their graduation. After completion of the program and successfully passing the state test, those students will be able to go to work while working on furthering their degrees in health care. A boot camp has been developed to assist the students in preparing for the state testing in August. Engaged 30 students in grades 6-8, who conducted a wellness study to focus on the disease of a loved one. Students met with the health care provider and relative to develop a wellness plan for better health and assist the person in carrying out the plan. Six week program enrolled college and/or unemployed individuals. Participants offered childcare and transportation to facilitate participation in skills development and shadowing program. The center conducted training to certify 5 Community Health Workers now employed by the MSDH. Development of a formal HR Director coalition through the Mississippi Primary Health Care Association MPHCA to continue focusing on workforce needs. Two (2) training videos were produced as part of the DWI program. The Infection Control and Facility Maintenance training videos are focused on the community health center environment. Tri County Workforce Alliance, University of Mississippi Center for Population Studies, the Office of Nursing Workforce and the Dreyfus Health Foundation to expand on the education and workforce development pathway for students and health care practitioners. Founded in 1979 with a heartfelt belief that we are at our best when we serve, Aaron E. Henry Community Health Services Center, Inc. starts every day with a mission to matter. We are a federally qualified community health center serving five rural counties from multiple sites in the hear t of the Mississippi Delta. In the eyes, the hearts, and the hopes of our communities, we see our purpose. And in that purpose, we find the strength to make a difference every day. Like our namesake, we are, first and foremost, agents of change and revival in our communities. As we reach out, we move forward.